I'm much more quiet when I'm gardening! 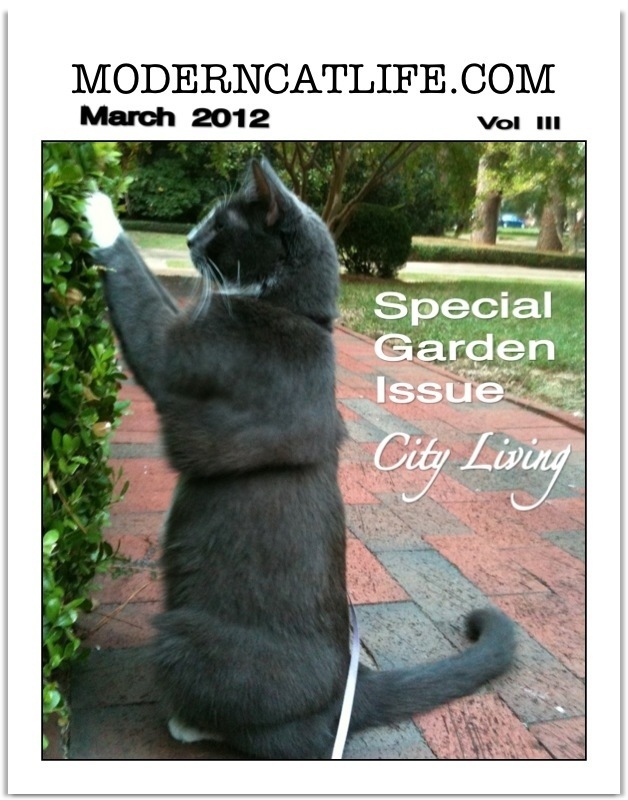 Grace is our March cover kitty. I have the pleasure of frequently taking her on tour at her home in the city and we spend hours talking. This time, I asked her a few questions. Grace, do you have a special garden technique you would like to share? Grace, How did you learn to walk on a lead? Thank you Grace for the exercise.